Born in in 1963 in Singapore. Ling Yang Chang is a full time Singaporean artist, specializing in contemporary Chinese paintings. 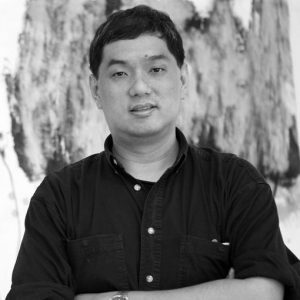 As a Chinese Studies graduate from NUS and Economics Masters’ graduate from James Cook University in Australia, Yang Chang’s strength lies in his ability to successfully amalgamate Eastern and Western influences into his art. This accomplishment is a hard-earned result of his experimenting and developing of his brushwork and medium techniques over the years. 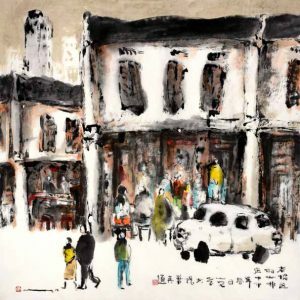 He has dabbled in traditional Chinese painting, modern contemporary works, as well as acrylic and oil paintings. 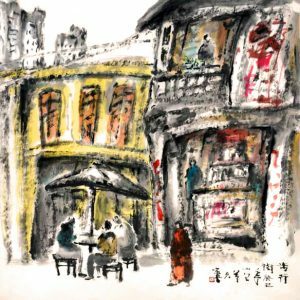 Through his artistic journey, Yang Chang has used a wide variety of subjects as inspiration for his paintings. Of these, the City Impression series and the Old Town series stand out as works that carry his personal and unique style. Yang Chang finds a natural affinity for Chinese brush painting, with its close attention to beauty of lines, poetical resonance and philosophical depth. In his medium, Yang Chang is a complete artistic in the Chinese scholarly tradition; not only does he carve his own seals; he also appends his artistic creations with his own calligraphically writings. Moreover, the steely discipline required in establishing a solid brush and ink control technique has built a strong platform for Yang Chang’s exploration into other artistic fields, namely Contemporary Chinese Art, and Modern and Abstract Painting. Hence, Yang Chang’s work is characterized by a delicate balance of Chinese and Western influences. Even in the free rein of Western Abstract expression, the fine lines and tonal qualities of Chinese painting are never absent.